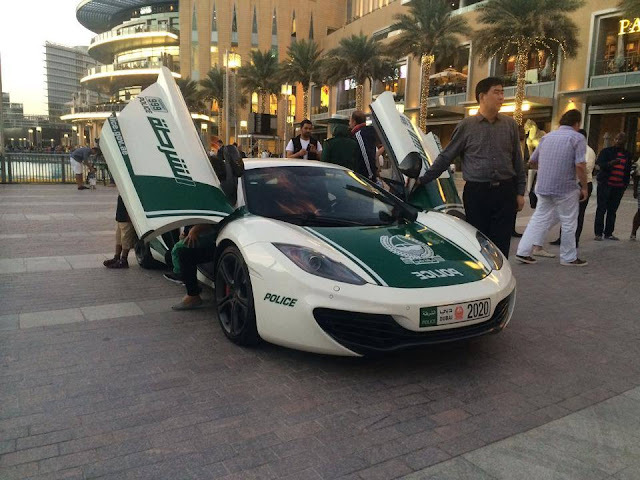 Dubai’s fleet (and most other Ferraris), the FF is a four-seater. It may have a reputation as one most polarizing car looking Ferraris built in recent years, but the all-wheel drive V12-powered car is all supercar driven. Zero-to-60 comes in just 3.7 seconds. The BMW i8 has the the newest addition to the Dubai fleet, and since it has introduced in 2014, the futuristic BMW has been hailed as the future of supercars. With its mid-mounted three-cylinder engine connected to two electric motors generating 357 horsepower, the i8 goes from zero-to-60 in 4.2 seconds, on its way to an electronically limited top speed of 155 miles per hour. 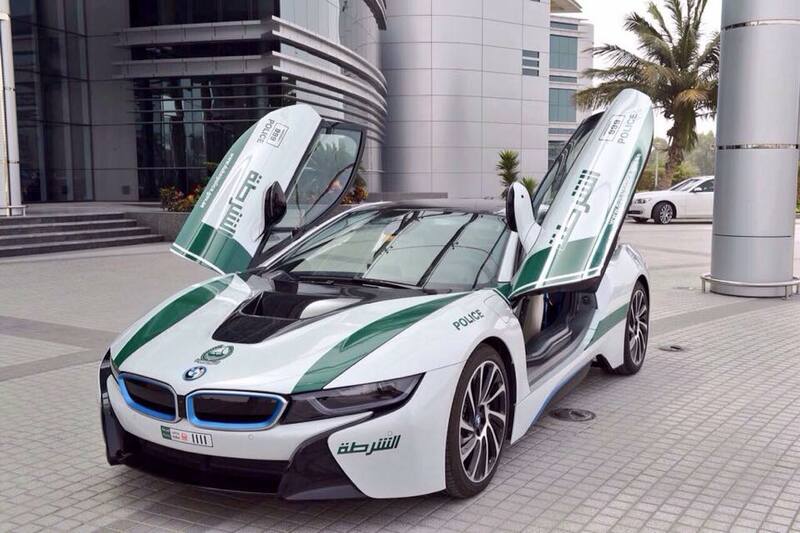 Compared to some of Dubai’s other supercars, it’s nice to see the Dubai Police buy a sensible car – the i8’s 76 miles per gallon should help the department cut down on fuel costs. The McLaren MP4-12C was the company’s first road car since the legendary 1992-1998 F1. This next-generation of McLaren isn’t like the world’s fastest production car like its predecessor, but its 604 horsepower V8 and top speed of over 200 miles goes per hour make sure that it has no trouble keeping up with traffic.